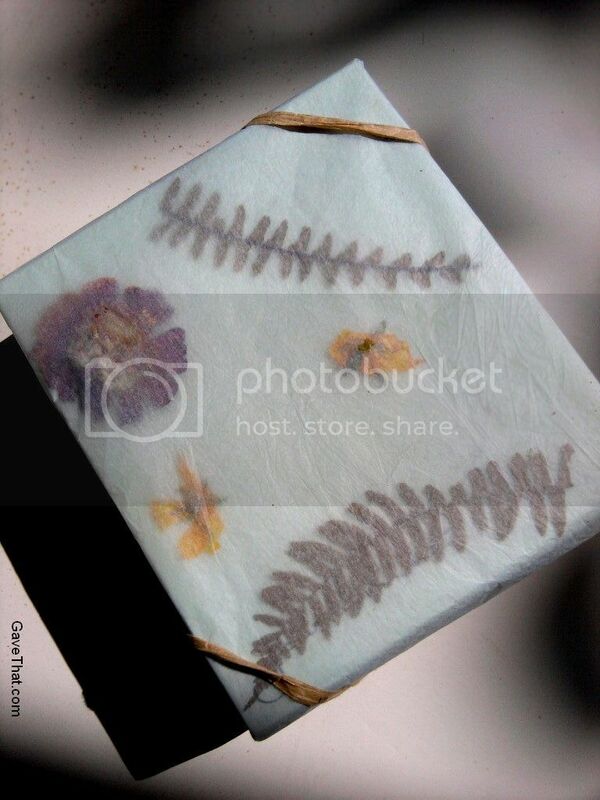 Here's a way to wrap a gift using pressed flowers, ferns &/or leaves and some very sheer tissue or wax paper. 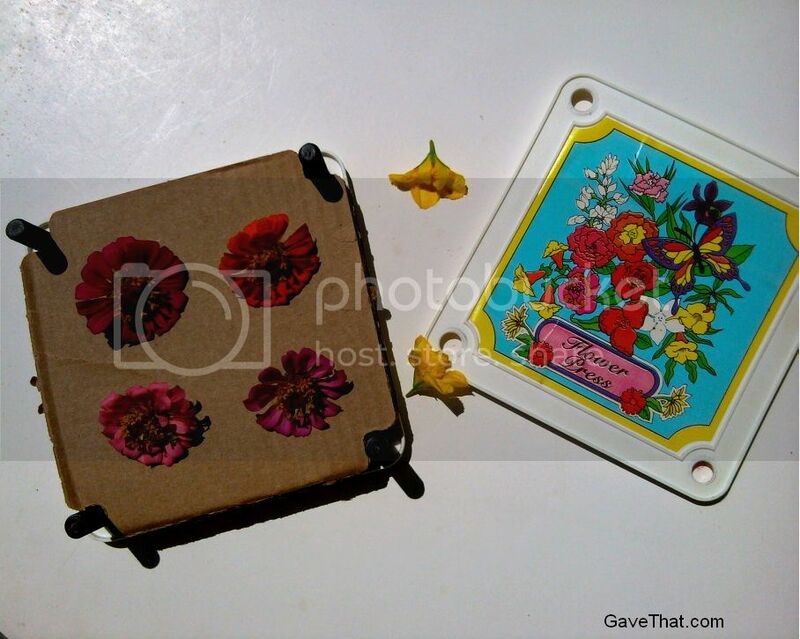 Using a dab of glue stick here and there the pressed flowers have been attached to what will be the inside of the wrapping paper. 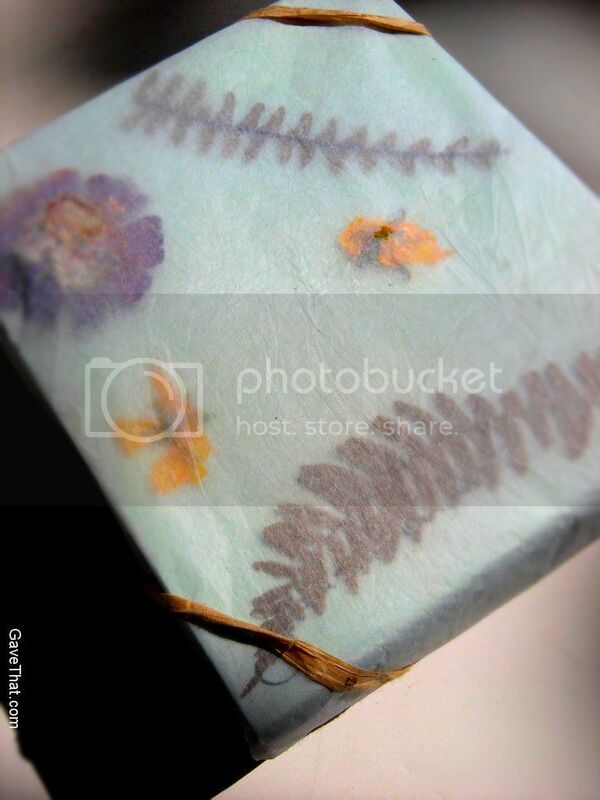 The flowers really show through when on a black, white or pastel hued, plain gift box. For more gift wrap ideas and DIY projects be sure to visit the gift design inspiration area of the blog here.